l O'Meara Camping O Meara Camping History Since 1966. Although principally a Camping & Leisure store the range of products has also evolved with the requirements of our customers. Party Tents / Marquee's Shelters for market traders, garden use, exhibitors, rally shows etc..
Quick Erect Canopies & Shelters Ideal for Market Traders, Exhibitors etc. Trestle Furniture for Marquees, Bingo Halls, Schools, Catering Tables etc..
Griddles, BBQ's, Canoes, Hog Roasts. 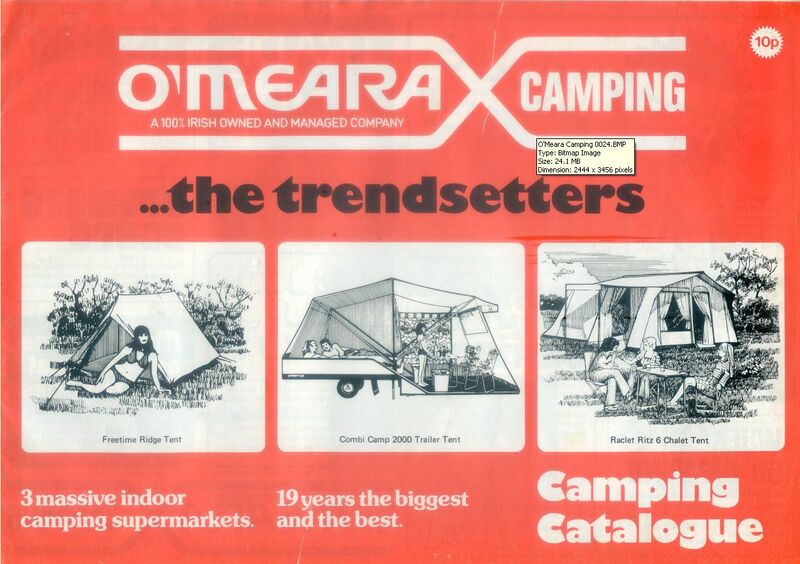 O'Meara Camping remains a market leader, recognized as a household name and brand throughout Ireland. 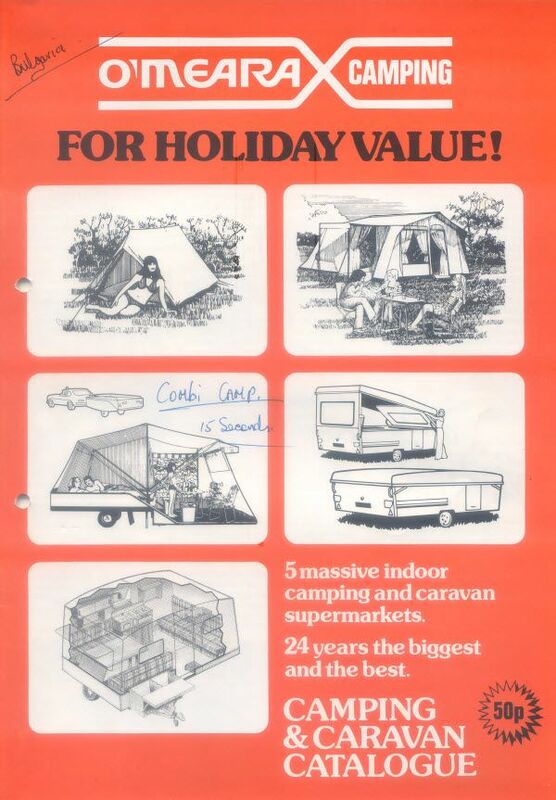 The Camping Brand is synonymous with the name O'Meara Camping, as it has been for over 50 years. Many of our customers are not only repeat, but second or even third generation customers. The longevity of the company is testament to the customer service, diversity and innovative nature of the business. Moving with the times we have moved our brochure to the Internet and can now update our products almost immediately. Almost all the tents you see on our web site have been erected and photographed by ourselves. 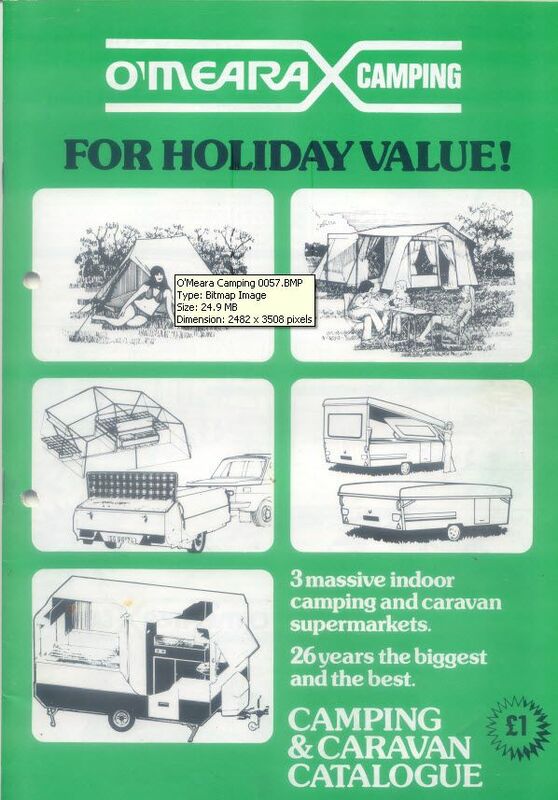 Over the years O Meara Camping have produced many retail catalogues. Perhaps you have one of these?